Combine white chocolate chips and sweetened condensed milk in a microwave-safe bowl. Microwave on high for 30 seconds and stir. Heat at 15 second intervals until smooth. Place candy in a plastic bag and crush with rolling pin (or use a food processor). 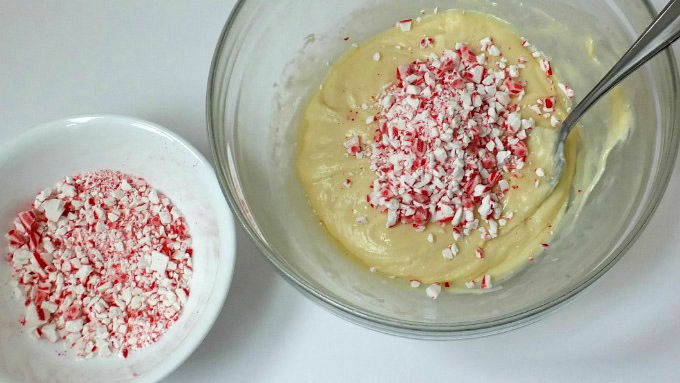 Mix in peppermint extract. Immediately add 1 cup crushed candies and stir to combine. Line an 8 x 8-inch square pan with foil. 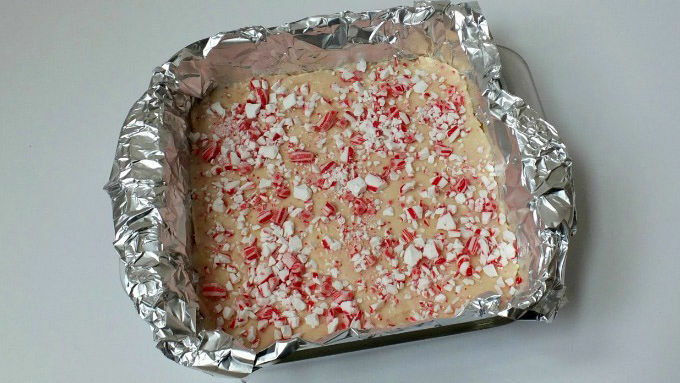 Spread mixture into pan and top fudge with remaining 1/2 cup crushed candy canes. Cover and refrigerate for about 2 hours. Remove fudge from pan and remove foil. Cut into squares. I get giddy when I first see candy canes hit the shelves. Because fudge. 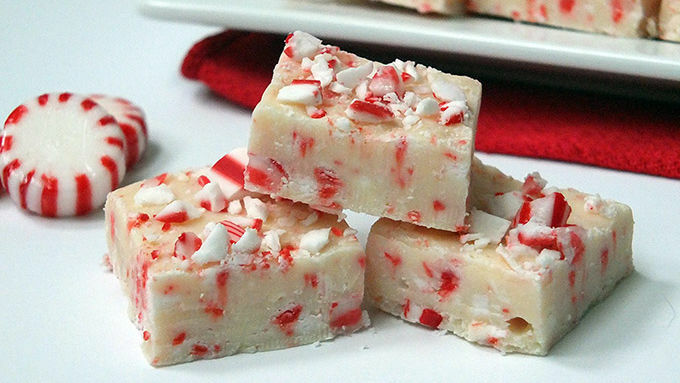 My family’s favorite holiday treat is my white chocolate peppermint fudge. It’s the first thing I make to set the holiday mood. 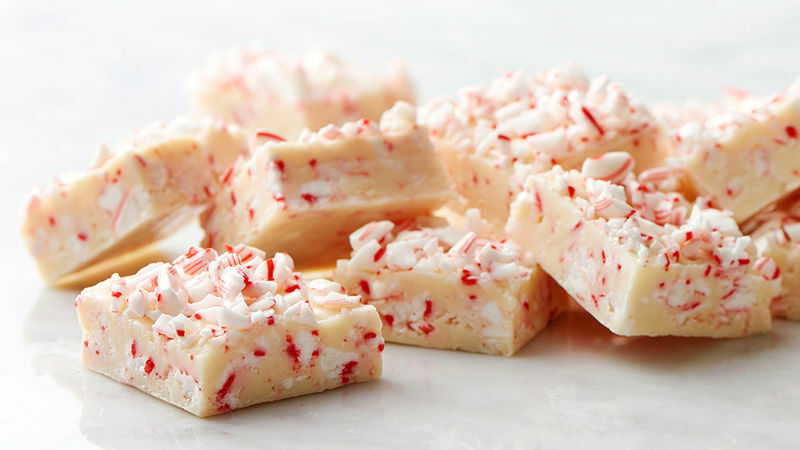 White chocolate fudge swirled with bits of candy canes and topped with more—I make a ton of the stuff not only because my family inhales it, but because it’s the perfect hostess gift. My neighbors love it too! It’s really the best sweet treat of the season. You’ll only need a few ingredients and a microwave. Really, it’s sooooooo easy! 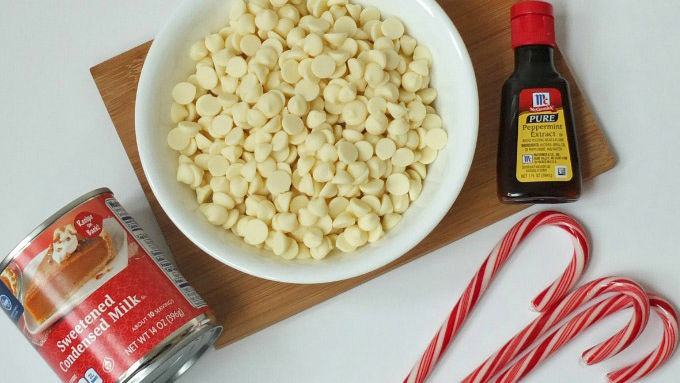 So grab some white chocolate chips, peppermint extract, sweetened condensed milk and candy canes. Yep, that’s all. See how easy that was? Now you need to make some more. You’re gonna need it. Trust.